James was born to James and Elizabeth Blythe in recently established Mecklenburg County, North Carolina, October 28, 1765. According to W. B. Sprague in Annals of the American Pulpit, young James was receiving a classical education in a local school at his father’s behest when he decided he did not care for some of the curriculum. His father seems to have designed him from his youth for one of the liberal professions, and hence he was early placed in a grammar school in his native county to learn Latin and Greek. The study of Latin, however, proved so distasteful to him, that he begged to be permitted to lay it aside; his father gravely assented, but, at the same time, directed him to be ready to drive one of his wagons to Charleston. The boy, knowing that he had no alternative, submitted to the task, but on his return assured his father that the journey had cured him of his aversion to Latin, and that he was more than willing to return to his studies. It seems that a lengthy journey on rutted roads with a view of the odious end of an equine animal convinced young James that the paradigms and intricacies of Latin were more agreeable than the challenges of teamstering. James ended up doing well with his school work. For his professional program he attended Hampden-Sydney College where his term of study included the era of revival that occurred during the presidency of John Blair Smith. Among the numerous students and village residents influenced by the revival was Nash Legrand. Blythe had made a profession of faith during his youth but since his arrival in Farmville it had waned due to corrupting influences from other students and Enlightenment seeded contempt for God and his revelation. However, through the Christian testimony of a fellow student young Blythe recommitted himself to Christ and purposed to become a minister. When Blythe graduated college in 1788 he returned to North Carolina for his divinity studies. Degree in hand, James Blythe chose for his theological tutor James Hall who was the minister of the Bethany Presbyterian Church near Statesville. Hall would spend his entire life not only pastoring but also teaching youth and ministerial candidates while serving on institutional boards including Princeton University and Princeton Seminary. 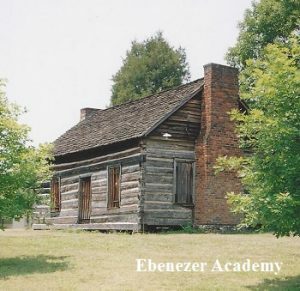 He was also the founder of Ebenezer Academy in a log building which still stands today across the road from Bethany Church. Blythe completed his theological training with Hall and was licensed to preach by Orange Presbytery. Licentiate Blythe chose to move to Kentucky for his ministry. The district of Kentucky, it would not be a state until June 1792, was a rough and rugged place and ministers from the eastern states often chose to work there in western missions. During a meeting of Transylvania Presbytery in April 1791, the Pisgah Church petitioned the commissioners to be relieved of their called minister but presbytery observed that it did not have sufficient information to grant the church’s request. Also processed during the meeting was the examination of Licentiate James Blythe who was seeking to transfer from North Carolina to supply churches in Transylvania Presbytery. 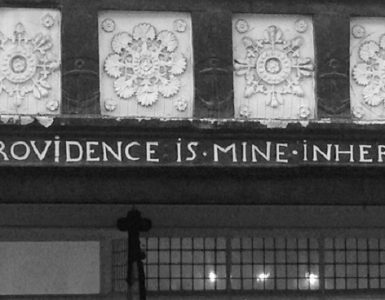 He delivered his trial sermon from Ezekiel 34:11, “For thus saith the Lord God; Behold I, even I, will both search my sheep, and seek them out.” An adjourned meeting was held in May in the Pisgah Church, a log building, in order to hear the whole case regarding its minister. 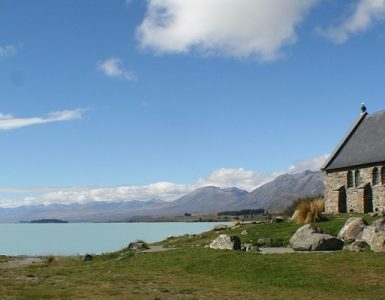 As it turned out, the pastor had been absent from his pulpits in both the Pisgah and Lexington Churches for over a year, but whatever his reason for absence was, Transylvania Presbytery upheld his continuing in the pulpit while the shepherdless congregants were encouraged to seek supplies with the presbytery’s assistance. It is interesting that the presbyters stood with the minister and it implies that the presbytery believed he may have been absent to resolve personal difficulties, or possibly the judicatory was simply giving him the benefit of the doubt. Thus, James Blythe became a supply to Pisgah one Sabbath each month and for the remaining Lord’s Days others were selected. Blythe’s first sermon delivered to Pisgah in 1791 commenced a forty-year ministry to the flock which included periods as either the called pastor or a supply. 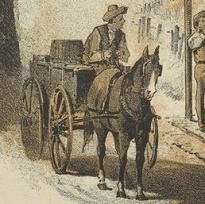 Even though supply ministers might be viewed by some as second-rate ministers who “can’t get a real call,” if it was not for the many miles on horseback endured by supplies there would have been numerous frontier and rural flocks without any ministry of the Word at all. 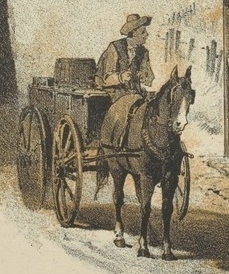 Methodism seems to get all the press for their circuit riders, due to saddle-sore Asbury, but the Presbyterians and other Protestant and Baptist denominations were greatly indebted to their supplies who travelled with their Bible in hand and a musket within reach. When Shepherd Blythe resigned his Pisgah call in 1792, he delivered his final sermon from, “Finally, brethren, farewell; be perfect, be of good comfort, be of one mind, live in peace, and the God of love and peace shall be with you.”—2 Corinthians, 13 :11. During Blythe’s Pisgah ministry he also supplied other churches as needed including a two-year tenure in First Presbyterian Church in Lexington that ended in 1807. Like James Hall, Blythe was involved with education during his lifetime. In 1798 Transylvania University appointed Blythe the professor of mathematics, natural philosophy, astronomy, and geography, and then later he was selected for a term as the acting president of the college. When New England Unitarian Horace Holley became the president, Blythe was transferred to the chair of chemistry. In 1816, James Blythe was elected moderator of the general assembly sessions held in Philadelphia’s First Presbyterian Church. 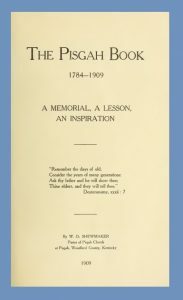 With him at the podium, the assembly processed its routine tasks; discussed issues concerning the discipline of the minister of Independent Presbyterian Church in Savannah, Henry Kollock; heard a report regarding the notes added to the Westminster Standards and their propriety; discussed and acted to improve the distribution of the Standards and Form of Government among the church members; and continued work related to developing and improving Princeton Seminary. It was not a heated series of sessions, but it was a busy assembly for Blythe. 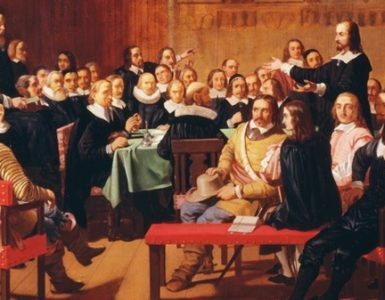 When the assembly convened the following year in the same location, James Blythe was unable to attend and open the meeting with a retiring moderator’s sermon. A Presbyterian minister named John Finley Crowe, who was a friend of Blythe, was the pastor of the church in Hanover, Indiana, where he had also been operating an academy. By 1827 the academy had evolved under the oversight of presbytery into Hanover College. In 1832 Crowe asked Blythe to become the president of the college with himself as its vice president. With some inducement and persistence on Crowe’s part, Blythe accepted the offer and moved northwest of Lexington to the college in Indiana. However, a few years into his tenure his ability to lead the college was diminished by poor health, but he persevered until he could no longer continue, so he resigned in 1836. When the Old School and New School divided the following year, Blythe remained with the Old School and spent the last few years of his life preaching occasionally as a stated supply for Madison Presbytery. His disease, dropsy, took its course resulting in his passing away on May 20, 1842. He is buried in Hanover Cemetery in Indiana. His wife, Margaret McElroy, predeceased him January 28, 1835. She had been on a ministry of mercy visiting a poor woman in town when she suddenly collapsed and died in the middle of the street on her way home. Margaret and James had a total of twelve children—five sons and seven daughters. James Blythe had been a vocal opponent of the War of 1812, but his opposition to the conflict had not stopped his eldest son from entering the fight and being killed at the age of eighteen in the Battle of the River Raisin. James Blythe was not a writer, there are only a few extant samples of his sermons available, but he did for about two years publish the serial The Evangelical Record and Western Review. He was honored with a Doctor of Divinity by Princeton University in 1815 and was a director of Princeton Seminary, 1815-1819. Sources include, John L. Brindley, On this Hill: A Narrative History of Hampden-Sydney College, 1774-1994, 1994, which is a study totaling 880 pages; W. O. Shewmaker, The Pisgah Book, 1784-1909, A Memorial, A Lesson, an Inspiration, 1909, (a nicely done pamphlet using for its sources session and presbytery records, as well as other materials held by the church); Alfred Nevin, Encyclopedia of the Presbyterian Church in the United States of America, 1884; Robert S. Sanders, Annals of the First Presbyterian Church, Lexington, Kentucky, 1784-1959, and then published in the same book is the history from 1959-1984 written by Elizabeth G. Leggett; A. Y. Moore, History of Hanover College, 1900; Louis B. Weeks, Kentucky Presbyterianism, Atlanta, see page 57, regarding Blythe’s Transylvania presidency; L. C. Rudolph, Hoosier Zion: The Presbyterians in Early Indiana, New Haven: Yale, 1963; and a biography of Blythe’s mentor, James Hall, is provided on NCPedia. 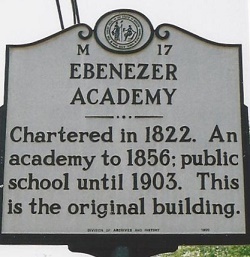 The photographs of Ebenezer Academy and its North Carolina State Historical Marker are the author’s. Sources disagree on where Blythe was buried—Sprague said he was buried on the family property, but find-a-grave shows a picture of his marker in the Hanover Cemetery (maybe Blythe’s property became the cemetery). Mecklenburg County was established from a portion of Anson County in 1762.